While she was studying pharmacology at the Delta State University, Abraka, she was hit with a financial challenge. Instead of allowing the challenge overwhelm her, she activated her hair making skills and turned into a part time business. She traded it until she made about N10,000 monthly. 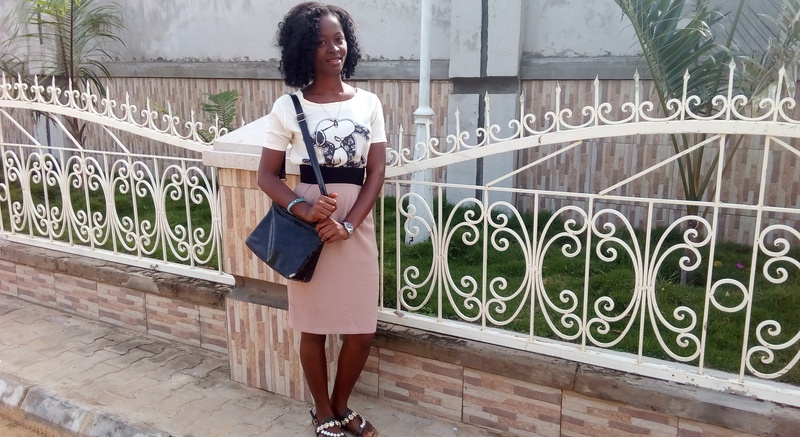 On this week’s edition of Campus People, Esiso Oghenerioborue shares with Brojid World Editor, Joseph Dinwoke how she started, got customers and balanced her academics with campus entrepreneurship. It’s inspiring and enlightening. Sit back and get inspired! Thanks for joining me on Brojid World, Campus People. Let’s meet you. I am Esiso Oghenerioborue from Delta state. I studied pharmacology at Delta State University, Abraka. Tell me about your involvement with business on Campus. I went into hair making while on campus; though not with serious focus on it. Also, I was involved with decoration, first to learn and after that I went out with some people who I worked with and got some money. What motivated you into campus entrepreneurship? Why hair making and decoration? I started hair making after my primary six exam. It was my age mate that suggested that we should learn how to make with my younger sisters hair. That was how I started hair making and I found that it was an inbuilt gift; a natural gift. So, whenever, I make hair, it doesn’t look like it’s the first time I am making it. It always comes out nice as if I have been making that style of hair. When I saw that I made nice hairs, and feel happy when I am making it, it’s more of a passion. That’s what motivated me into doing it as a business. I also made hair for my aunties and family friends. Though I did it then purely for the joy, they gave my transport money and small money on it. I actually went into decoration because whatever my hand can do and people see it and appreciate it, and I also love it, then it’s enough for me to do it. My sister is actually involved in decoration and I think she will need help because she does our church decoration. So, when I went to school, I decided to join decoration unit in my campus fellowship, Redeemed Christian Fellowship, and learn. The joy of seeing a place you decorated fine is what motivated me the more. You started making hair after your primary school. Does it mean you continued in secondary school or stop at some point? I did make hair in my secondary school days. I made hair for my siblings. I also made hair for my aunties and family friends. Though I did it then purely for the joy, they gave my transport money and small money on it. Since you have started earning money from it right from your secondary school, why didn’t you consider making it a career; instead of going to school. Life is changing. So many things are changing. If you are not a graduate, you are something else. I just have to go school. I can’t because of the money I can make from hair making say I won’t go to school. At what point did you turn your hair making skill into a business? That was between my 300 Level to final year. That was when I went into it with seriousness. But, I know that after now, I will go deep into. What motivated you to take it more seriously? I had some financial challenges. When people see my work, they like it. They will say it’s nice. For instance, if I make for miss A and Miss B sees it and says it’s fine and seek to know who made the hair. That was how I got my customers. What was your parents’ reaction when they found out that you were doing business in school? They didn’t do anything. After all, I didn’t tell them directly. At a point in time, I showed the pictures of the hair I made in school. How much did you rake in making hair in a month. At least, give me the average? On the average, I made between N5,000 t0 N10, 000 monthly. How were you able to strike a balance between your business and academics? The fact that I am making hair doesn’t mean I wasn’t reading. I also studied. It’s all about planning and time management. It depends on how you strategise for your time use. Lectures are not every day; especially when we got to final year. Meanwhile, handwork is not every day. It’s when I get a customer that I make hair. Even at that it’s when we schedule time that you come. When I know that I have two days lecture free days or that I don’t have assignment or the person can sit for night hair, I made hair. Once a customer can sit for night hair, you can be sure I can stand to make it. Sometimes, I made hair through the night from 8pm. So, it’s largely about time management and understanding from my customers. How do you make hair at nights and still go to school in the morning? In my secondary school, I made my cousins hair, especially during their birthday at night. At that time, I did it. Yet; I woke up the following day and go to class. I got used to that system. By the way, people do awoko and still go to school. All night reading. My own is all night making of hair. Meanwhile if you have passion for something, you won’t see any stress in it. For me, I didn’t find it stressful; as far it’s hair that I was making. Even when I am reading, I don’t stay awake throughout the night. I sleep small; except on rare occasion. How were you able to convince your first customer? I didn’t even have energy to convince people. If I tell you I can make your hair and you refuse, I forget it! I have a very close friend, my bestie then in school. I made her hair from 100 level to final year. People saw my handwork on her. She was like my model then. It made it easy for me to get customer. But there were some doubting Thomoses and didn’t have time to convince them! It affected me o. If affected me to an extent. And that’s because I am kind of unserious. There are times I needed to read; but I decide to rest. In fact, the effect was not because of the business but because of my attitude to it. I love handwork. Handwork pays. It gives you satisfaction when you are doing it. With the way this country is going, self employment is better. You can’t be submitting your CV everywhere. You may be fortunate to get a job; but investing in yourself is better. I have a very close friend, my bestie then in school. I made her hair from 100 level to final year. People saw my handwork on her. She was like my model then. It made it easy for me to get customer. When you do your handwork well, it will speak for you. People will crave for it; no matter how expensive it is. They will always come because they know that they are getting something valuable. If you have to go back to school, will you do business again? From what I have learnt outside school, and my experience in school, I have to go back to school again, it won’t affect me. I will start reading very early so that when it gets close to exam, I won’t have so many things to read. What do you like most about doing business on campus? That people see the hair I made and appreciate it. What do you regret about doing business on campus? When did you fall in love on campus? Some people believe it’s not safe because one may get distracted? That’s their belief. If it affects them, they shouldn’t get involved in it. Like I said, it was in my final year and that was some months before graduation. Assume you are before over 5ooo Nigerian undergraduates. Talk to them about doing business on campus. If you have handwork or something to deliver, I encourage you to trade it. It pays; handwork pays. I have seen people in school that trained themselves in school with handwork. You will never get stranded. Even if don’t have handwork, go and learn something.